I always have tuna cans in my pantry because tuna is one of my favorite foods to use for a quick and simple lunch. Sometimes I even just place the tuna on a plate, add chopped tomato, salt, pepper and squeezed lime juice, and that is my lunch! This tuna dip is an easy and simple appetizer and was popular at my family parties in Colombia. 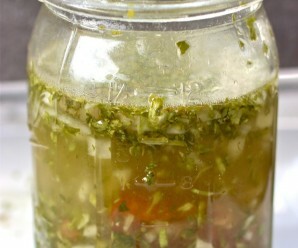 We would serve it with an assortment of raw vegetables or spread it on delicious crostini. 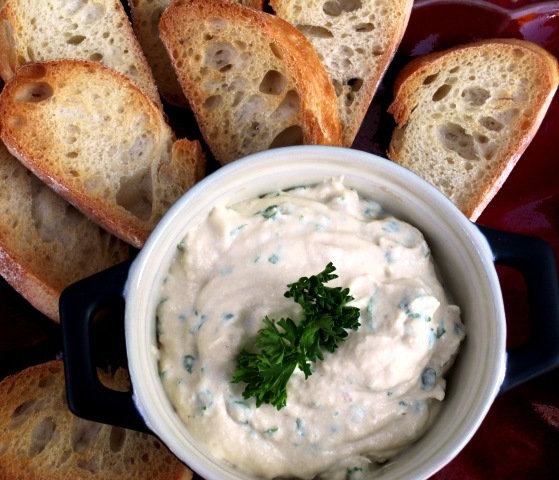 This is a great party dip that you can make a couple of hours ahead of time. Enjoy! Place all the ingredients in the food processor and process until smooth. 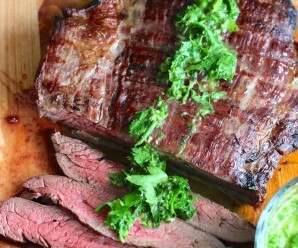 Transfer to a serving bowl and sprinkle fresh parsley on top. Serve with crostini or fresh raw vegetables. I feel the same about canned tuna: it’s my “go to” when I have nothing else in the fridge. 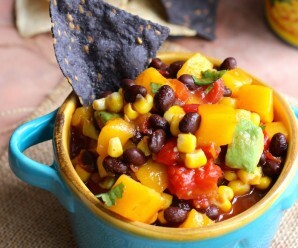 Hello Erica, this recipe looks yummi and just in time for the holiday parties. I have a question though, is crème fraiche or crème fresca same as “Crema de Leche”? Ooh, Erica, this looks fantastic! I like to eat tuna sometimes for lunch too, usually just a sandwich but this one looks so delicious! I love the sounds of this – it looks so tasty, and I’ve learned to really love tuna – what a wonderful healthy snack! Thank you guys for the comments!!!!! Yum, I don’t eat tuna often because my husband doesn’t like it but this reminds me how much I do enjoy it! Oh it looks great! That sounds easy to make..and looks fabulously yummy..
Erica this looks amazing, I really love it:) Question: where can I purchase the crema de leche? Mexican market maybe? La mas Linda- You can buy crema de leche in any Latin market or you can buy creme fraiche in American supermarkets. Tuna dip sounds wonderful, a great idea as I also always have a can of tuna around! Indeed, this dip looks very feastful!! 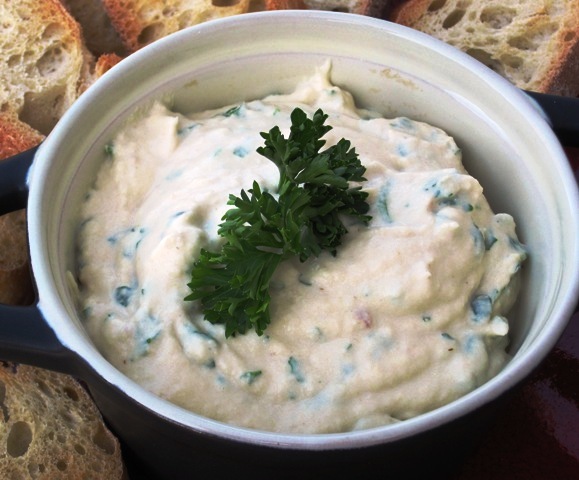 I so love this easy yet so tasty tuna dip! Yum! I have never made a dip for tuna but I bet this would be awesome on a toasted bagel! The perfect brunch treat. Thank you everyone for visiting my site!!!!!! I could eat this all by myself. 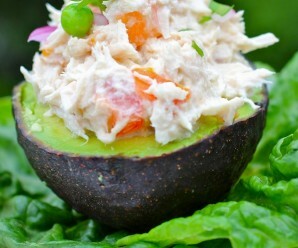 what a nice simple recipe and my son loves tuna so I think I might spring this on him! do you use tuna in water OR tuna in oil?